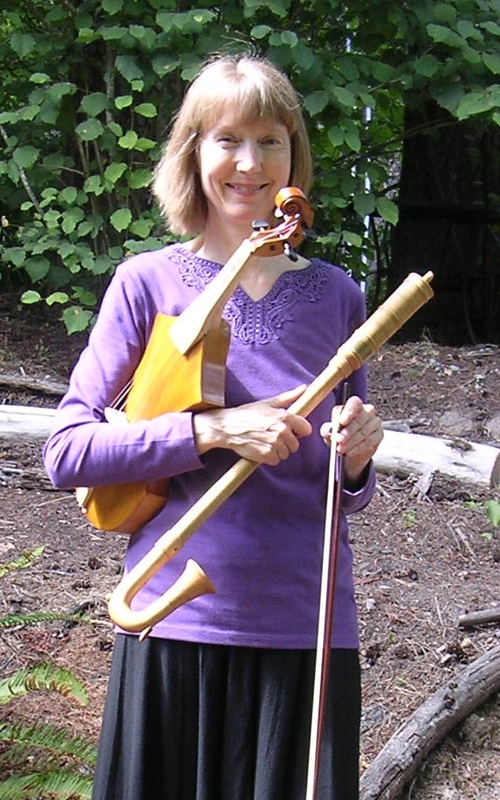 Gayle Stuwe Neuman, a performer on violin, recorder, sackbutt, and many other instruments, is also a vocalist who has received international acclaim for her renditions of the “Song of Seikilos,” the “Chorus from Orestes,” and others upon the release of Ensemble De Organographia’s CD Music of the Ancient Greeks. Several of the tracks from that recording have also appeared in the Norton Scores Recorded Anthology of Western Music, and numerous films and television programs. She appears in the recent award-winning film “Buddymoon” directed by Alex Simmons, and recorded music for the 2016 film “Ben-Hur.” She has performed for audiences in the U.S., Japan, Israel, Turkey, Greece, Canada, Norway, Germany, and for members of the royal family in Jordan. She co-founded and co-directs the Oregon Renaissance Band, now in its 29th season. Gayle is a member of the Trail Band and has performed with Cappella Romana and the Portland Baroque Orchestra Chorus. She has played under the baton of Monica Huggett and Ton Koopman. She teaches Recorder, Collegium Musicum and Renaissance Song classes at Portland’s Community Music Center. She has given workshops and presentations at many institutions including Oberlin Conservatory, Rice University, Cleveland Museum of Art, and the Getty Center. She has built with her husband Phil over 400 early wind and stringed instruments including krummhorns, cornamusen, racketts, and vielles. She composed and arranged music for the 2015 production of “Mary Stuart” directed by Elizabeth Huffman for Northwest Classical Theatre. 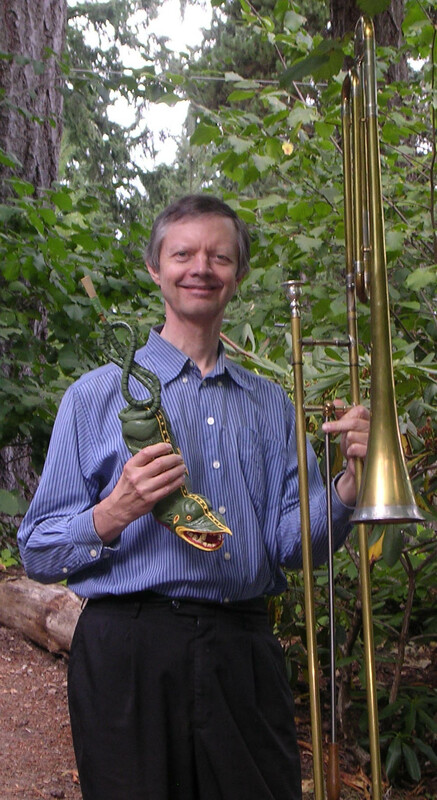 Phil Neuman, a performer on recorder, sackbutt, and numerous other wind and stringed instruments, co-founded and co-directs the Oregon Renaissance Band, which has performed for the Regensburg Early Music Festival, and recorded the CDs Carnevale and Now make we joye. He has produced and recorded seven CDs for Pandourion Records including French Music of the 14th Century, Music of the Ancient Greeks, and The One Horse Open Sleigh. He appears in the recent award-winning film “Buddymoon” directed by Alex Simmons, and recorded music for the recent remake of “Ben-Hur.” He has written and recorded music for Oregon Public Broadcasting. He has played for audiences on three continents, including performances at several ancient theater sites in Greece. He teaches Recorder, Renaissance Winds, and Loud Band classes at the Community Music Center in Portland. Phil is a member of The Trail Band, has performed under the direction of Christopher Hogwood and Nicholas McGeegan, recorded with the American Bach Soloists, and has played in the Philharmonia Baroque Orchestra, The Chicago Chorale, Handel and Haydn Society Orchestra, and Spiritus Collective. He has composed, arranged and transcribed over a thousand works for recorder ensemble, brass ensemble, and symphonic wind ensemble, including “Theme and Variations” that won first place in the San Francisco Recorder Composition Competition. Kudos to both of you. Living in Lincoln City makes it difficult to travel great distances for concerts, but perhaps someday I’ll make it to see the both of you. We so enjoyed the final performance of the Trail Band holiday concert for Friends of the Children. Is it possible to be on an email list for upcoming Oregon Renaissance Band performances? We play the ORB Christmas CD all season (along with the Trail band CDs, of course).